Pretty much anyone would be happy to receive an email saying they’d won $1000, but for last week’s MEGA Summer Giveaway winner Morgan Loehr, the excitement was in overdrive - and for good reason. “Oh my gosh!!! Thank you SO much!! I just got engaged yesterday, and now this! That’s so crazy. THANK YOU! !” was the note we received shortly after letting her know her OhmConnect username had been drawn as one of five names called during MEGA Summer Live and she’d won a $1000 Target Gift Card. 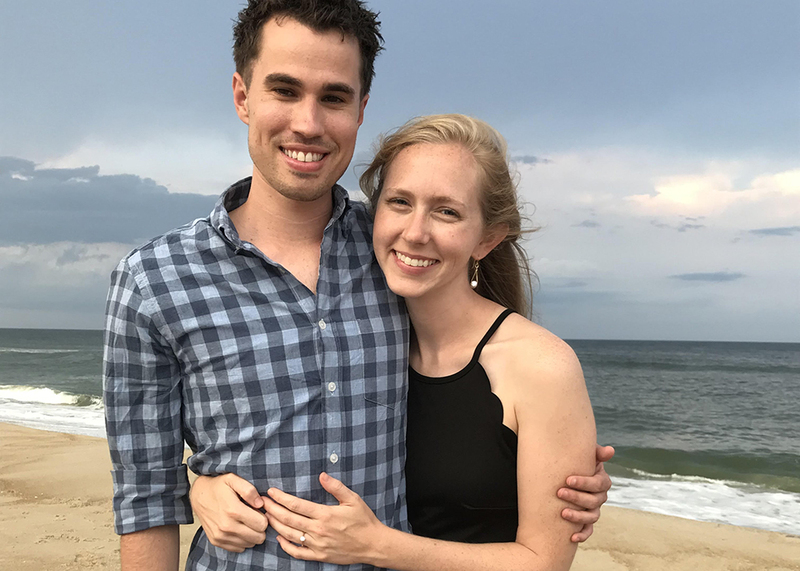 Morgan and her family were away on vacation in The Outer Banks, North Carolina when her boyfriend (now fiancee) Ryan asked if she wanted to go for a walk on the beach after dinner. After a night of celebrating with her family, Morgan awoke the next morning, checked her email and saw the note from us, telling us about her big win. Morgan and Ryan moved to San Francisco in March and signed up for OhmConnect in April. She works as a potter, crafting pottery to sell - a business she says is challenging in such an expensive city. In the market for pottery? Check out Morgan’s work on Instagram or Etsy. MEGA #OhmHour Winner Rachael Earned A $1000 Target Spending Spree! Meet The Latest Winners Of A $1000 MEGA #OhmHour & Find Out How They Did It!